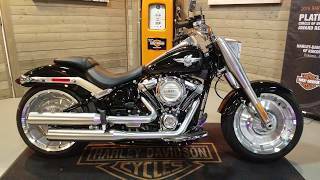 This used 2018 Harley-Davidson FLFB - Softail Fat Boy Motorcycle for sale has 202 miles. The color is BLACK W/PINSTRIPE. 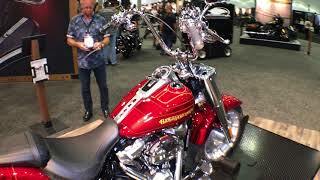 It is offered for sale by Republic Harley-Davidson® and located in Stafford, TX. The listing # is 69848. One sweet ride! Call Daniel at (281) 895-2912 for details! The Fat Boy has been around, at least as a concept, since 1988, but it really showed up on everyone's radar and earned a place in American pop culture when old Arney rode one in Terminator 2. Low, wide and intimidating; ever have these been the hallmarks of the Fat Boy line, and it's still true of today's subjects. This bottom-heavy look is something of an illusion created by the visual weight of the 18-inch, solid-disc Lakester rims. 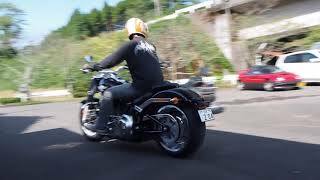 As always with a Softail model, it's the frame geometry and clever faux-rigid swingarm that makes the look work. The factory completely reworked the frame in the largest update ever bestowed on this family, and not only is it stiffer in all the right places, it's also lighter having left 50-percent of its frame members on the design-room floor. The average price of a 2018 Motorcycle for sale is $9254.31. This model is priced $8740.69 more. The average price of a 2018 Harley-Davidson Motorcycle for sale is $18112.28. This model is priced $117.28 less. 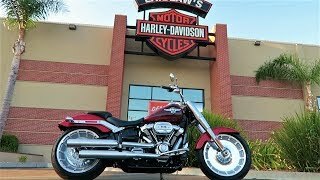 The average 2018 Harley-Davidson Motorcycle for sale has 4379 miles. This model has 4177 less miles. There are 438 Harley-Davidson Motorcycles for sale within 150 miles of Stafford, TX. If you looked at the average 2019 Harley-Davidson Motorcycle for sale it would cost $5066.65 more. 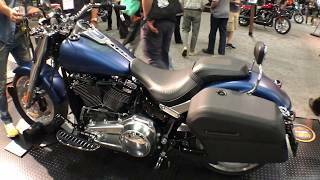 The average price of a 2018 Harley-Davidson FLFB - Softail Fat Boy Motorcycle for sale is $17233.80. This model is priced $761.20 more. 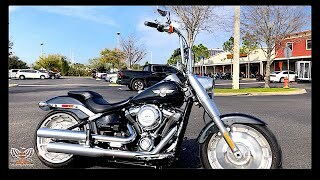 The average 2018 Harley-Davidson FLFB - Softail Fat Boy Motorcycle for sale has 1518 miles. This model has 1316 less miles. 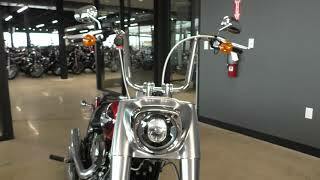 There are 6 Harley-Davidson FLFB - Softail Fat Boy Motorcycles for sale within 150 miles of Stafford, TX. 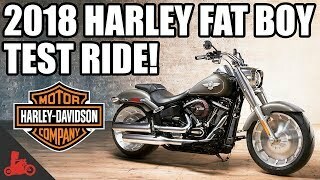 If you looked at the average 2019 Harley-Davidson FLFB - Softail Fat Boy Motorcycle for sale it would cost $1054.00 more. 2. 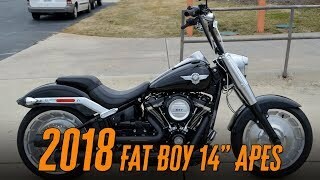 2018 Harley-Davidson Fat Boy 114 Test Ride! 4. 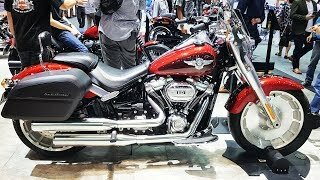 2018 Harley-Davidson Softail Fat Boy Has Options!